[SOLVED] How do I get a dark title bar theme? I've tried setting it in Aero glass GUI but it will not work. Solved, you must set this setting. 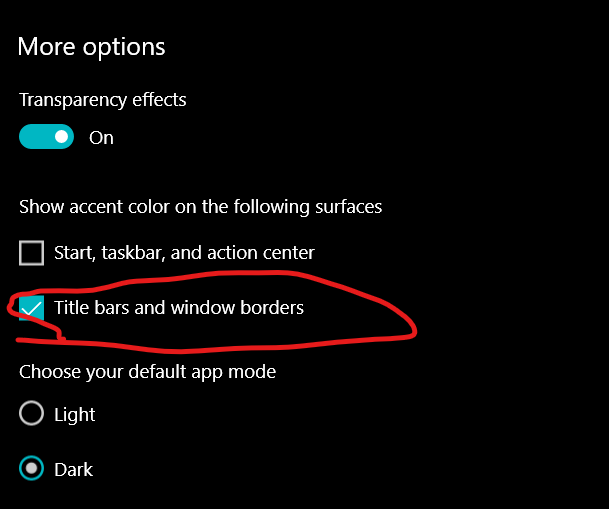 Is there a way to change the title bar color without turning on this setting ? I would like to keep my accent color.